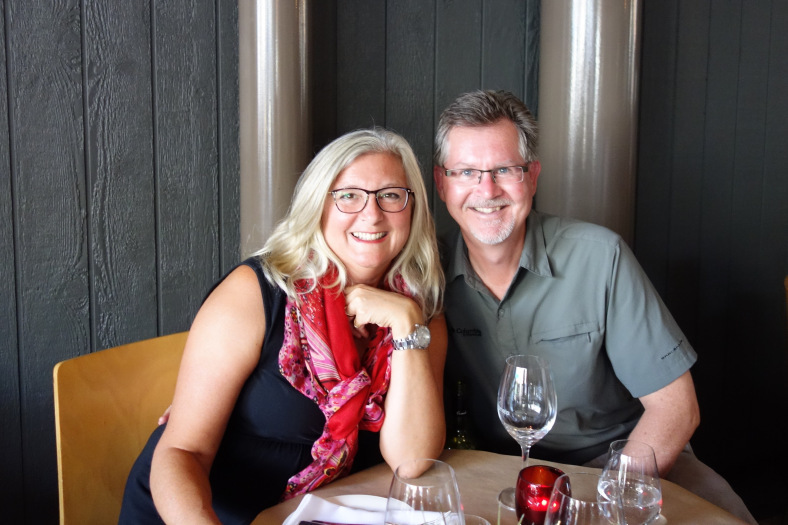 Here we are on our last post for our trip to New Zealand. 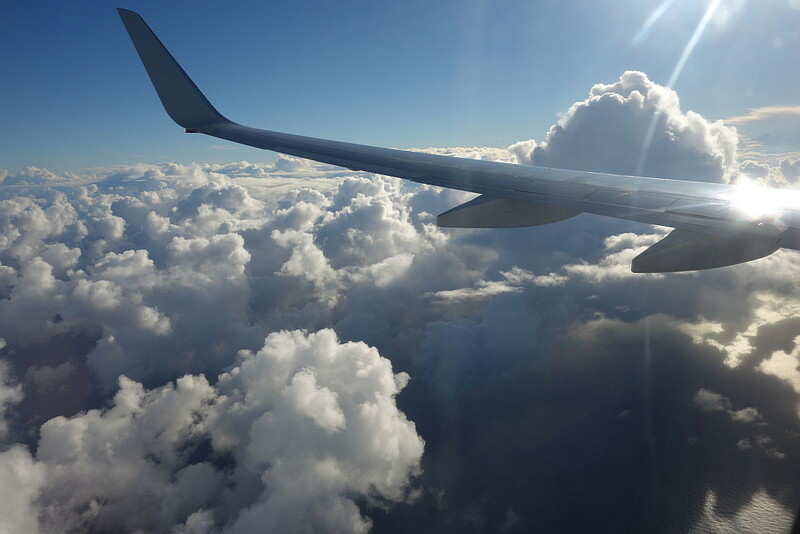 It has been a lot of fun to share with you over these 7 posts and I hope that you have enjoyed this glimpse into a very scenic and interesting country. 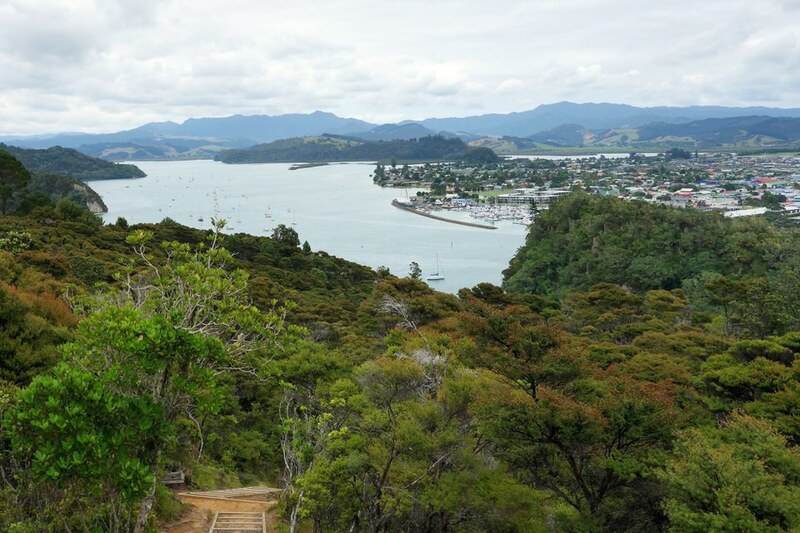 We are finishing our time in New Zealand with a couple of days in Whitianga, a deepwater harbour town on Mercury Bay in the Coromandel Peninsula. 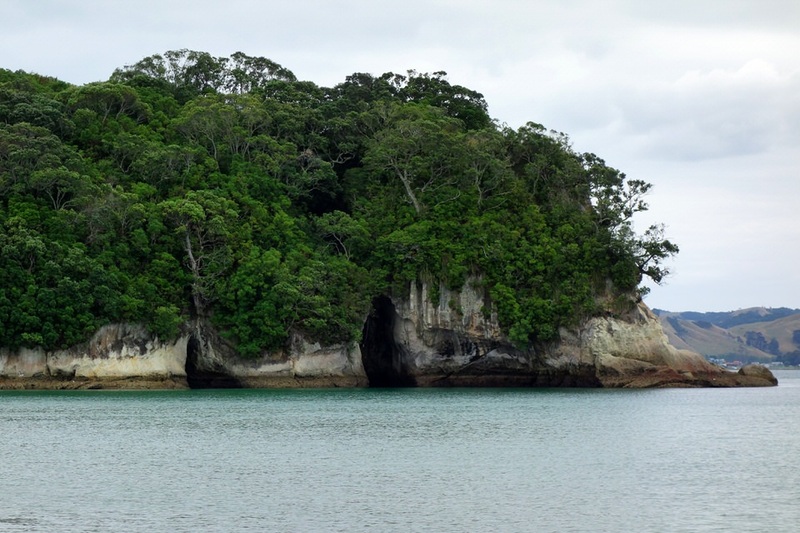 Whitianga has a long history as it was first settled by the Maori people when the famous Tahitian explorer, Kupe, landed here in 950 AD. 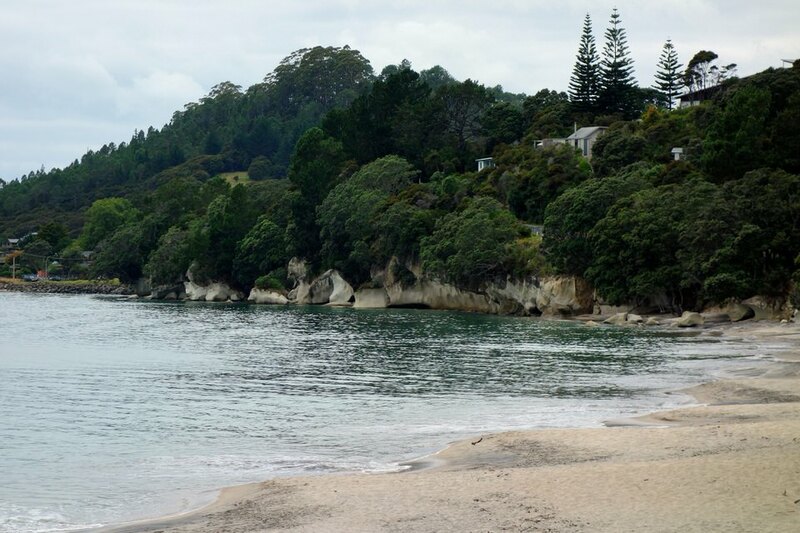 There are a lot of interesting beaches and coastline here in Mercury Bay and surrounds. There is so much that we didn’t get to see, but we really enjoyed our stay here and treasured what we did get to experience. 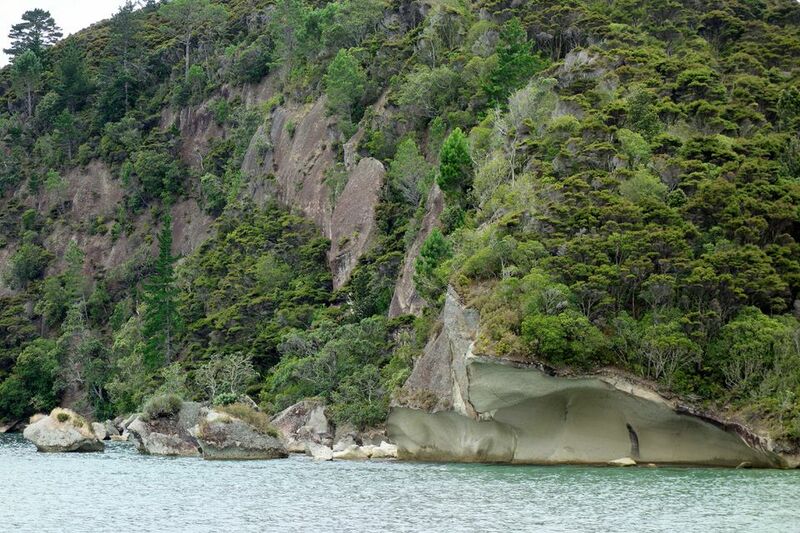 This part of New Zealand’s North Island is very natural and low key. 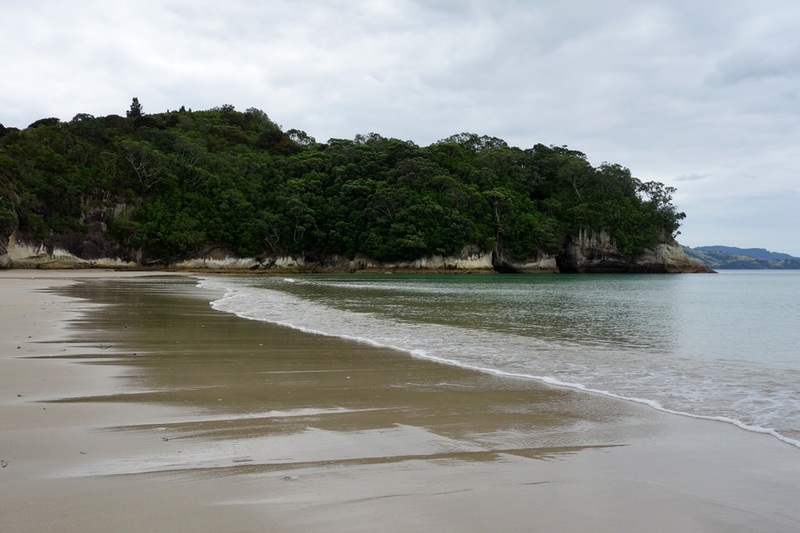 It is very much a sportsman’s destination, with fishing (especially big game) being primary, as well as a recreational destination, with interesting beaches such as Cathedral Cove and Hot Water Beach. On our first night here we ate mussels that were twice the size of any that we have had anywhere else. Too bad I didn’t have my camera with me. 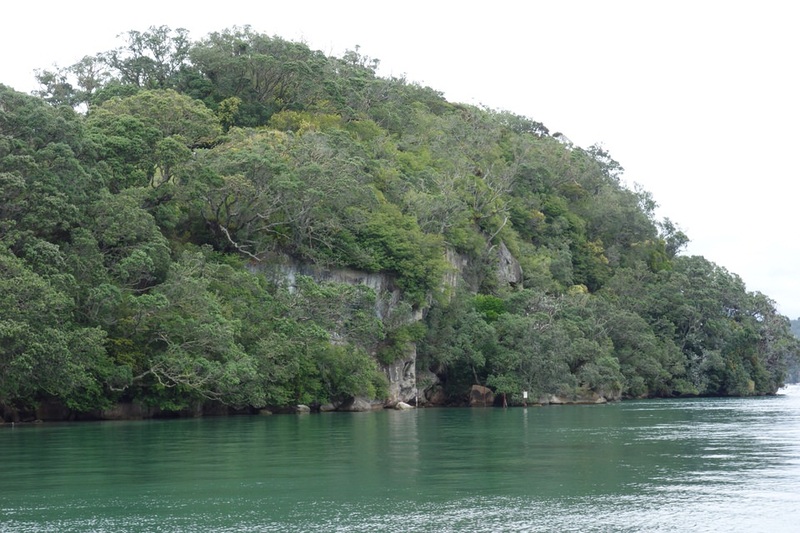 We have one full day here to explore so we take the ferry to the other side of the estuary. 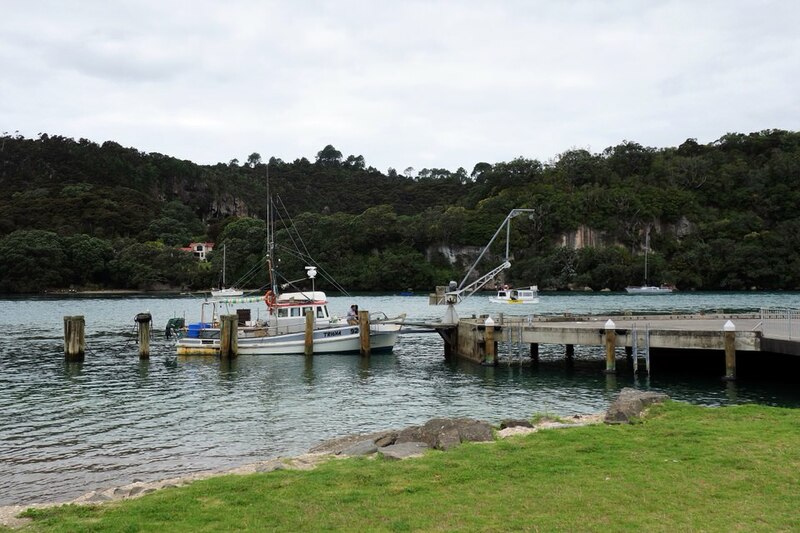 Although I didn’t get a picture of it, an interesting fact is that this ferry landing is the oldest stone wharf in Australasia, built in 1837. This ferry landing is just for people, not cars. Once there, we set out to do a couple of very strenuous hikes. The paths are rustic, but the views at the tops are worth the climb. I had to use my hands and feet to get up these steep stone steps. I was very thankful that they were not wet as they would have been slippery. This next path will take us even higher up, and the path itself has many adventures and challenges as it is very steep in places. Glad this path wasn’t wet. 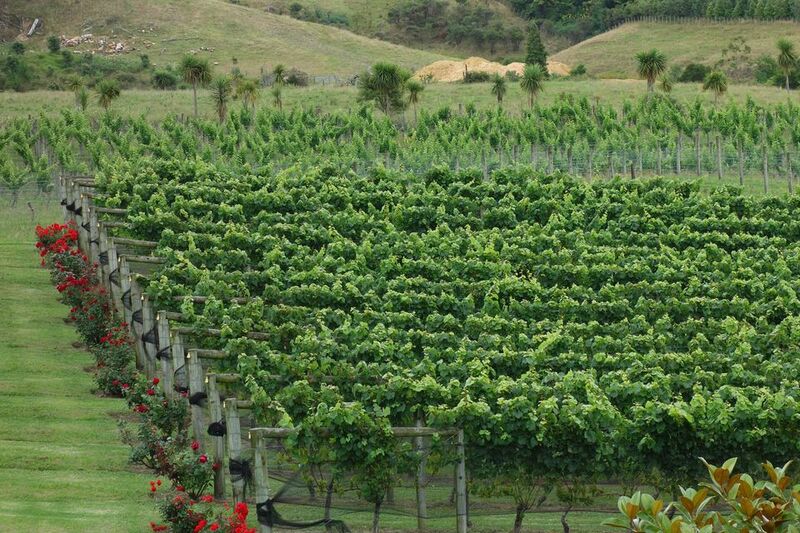 Once down the other side, we walk quite the distance in order to arrive at Mercury Bay Vineyards, but enjoy the rewards of good food and wine and views of Cook’s Beach. 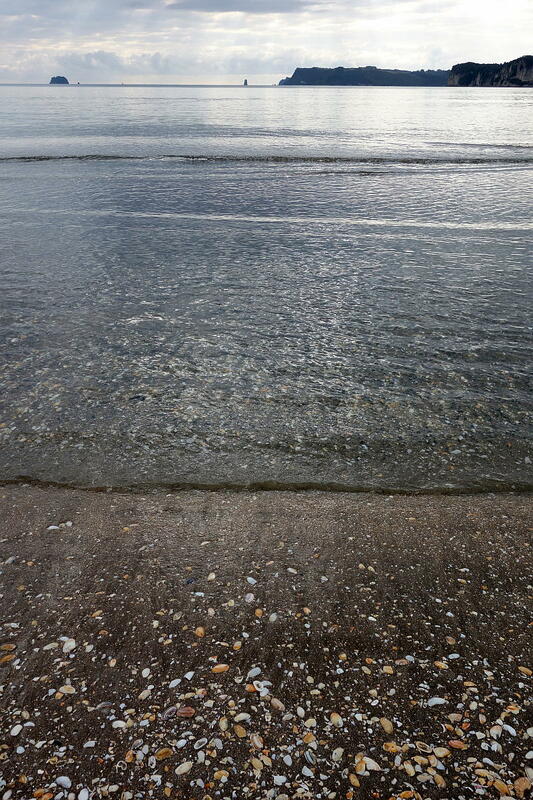 The vineyard is for sale, so we amuse ourselves by imagining how wonderful it would be to have a vineyard on the ocean in such a peaceful, pretty place. Replete and refreshed we take the long walk back, but do take time to enjoy the spectacular scenery as we walk back along Cook’s Beach. 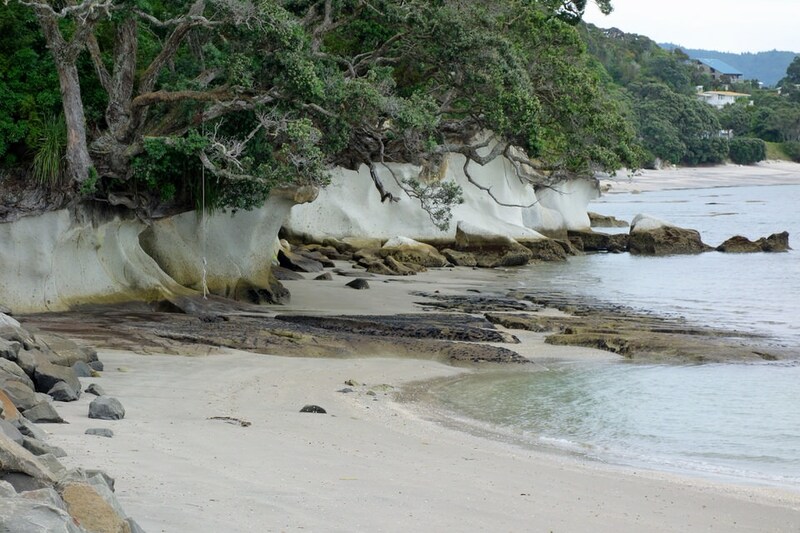 The area boasts some of NZ’s oldest history – Capt James Cook sailed on the HMS Endeavour into Mercury Bay in 1769 and made anchor at Cooks Beach. 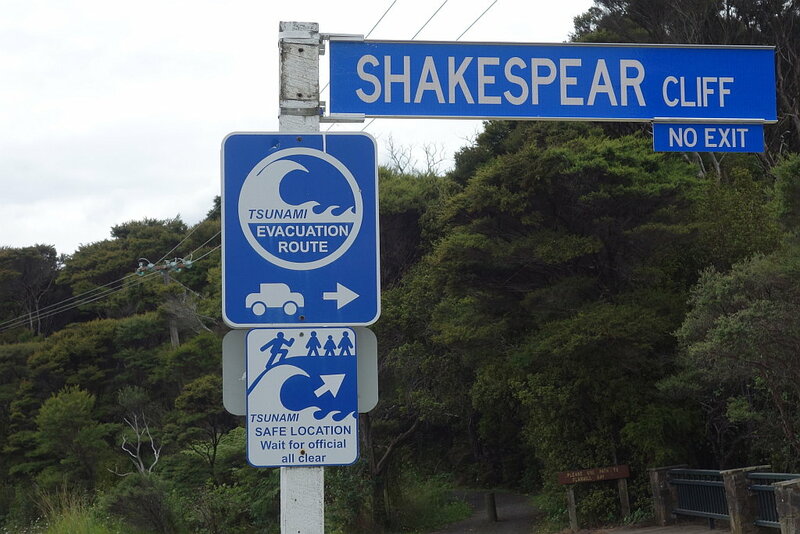 As we walk westward we approach Shakespear Cliff. Spelling? Anyway, an escape route over a cliff? I had to laugh when Ed saw this sign (below left) and thought that it was referring to a vehicle rather than the place where the road we were walking on was crossing a small stream bed – until I saw the Ford tractor around the next bush. Someone had a good sense of humor! 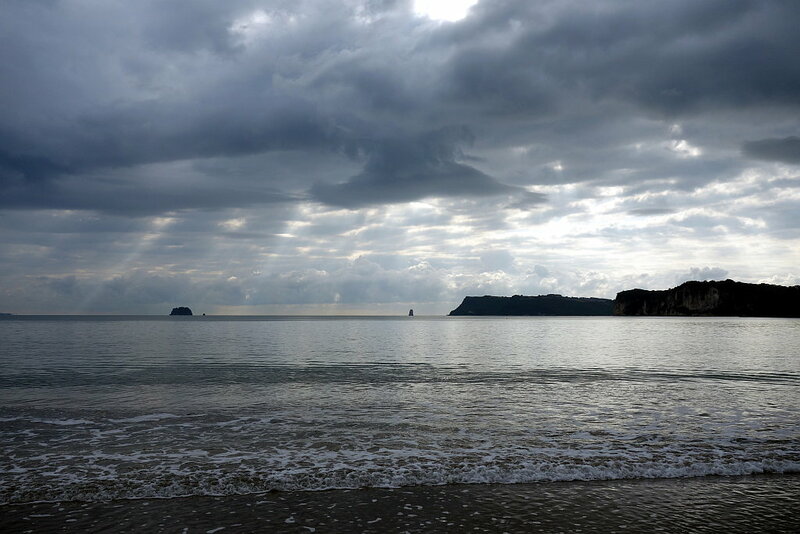 We are back in Whitianga and spend our final evening in New Zealand walking along the beach. There are so many shells that you cannot avoid crushing them beneath your feet as you walk along. 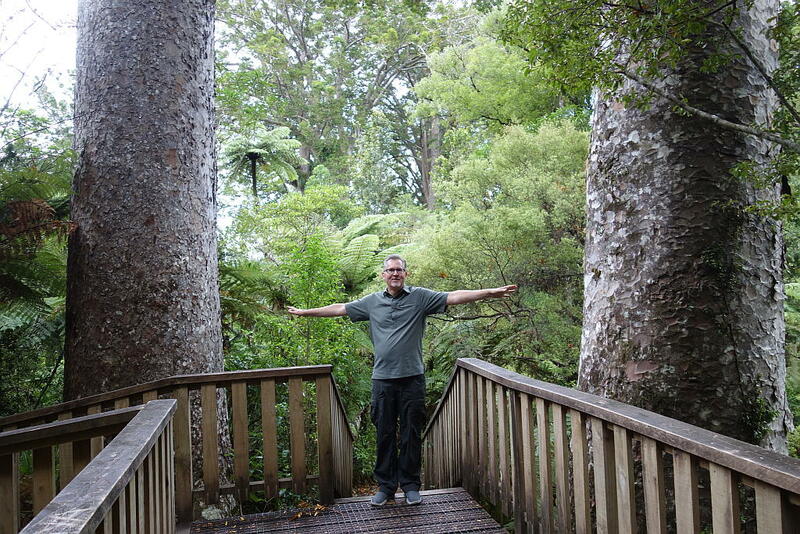 The next day, as we travel back to Auckland for our return flight to Australia, we make sure to travel through a Kauri forest. These trees are immense. Like the Redwoods of California, the Kauri trees have a history of remarkable height and width and age. As they grow they lose lower branches so eventually their branches tower above the forest. Their very straight hardwood trunks made them valuable for shipbuilding (masts and spars) as well as lumber for building houses, furniture etc… Sadly, so little remains of these mighty trees as there were no controls over logging and often these trees were just razed to the ground or sold in great masses for almost pennies. If you have read this far then read this fascinating excerpt below. I hope to see this forest for myself one day. 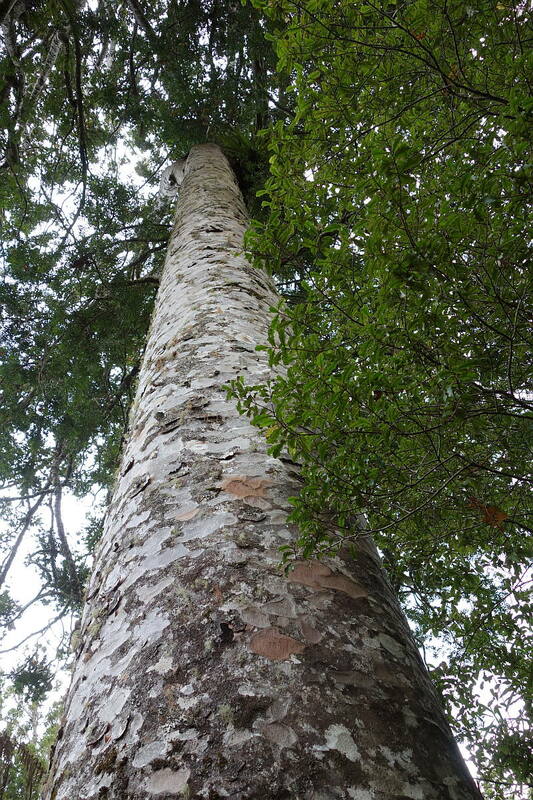 There are other records of similarly large Kauri trees. The ones that we visit on our return do not really compare, but they are still interesting to see. Some final pictures of our journey and then it is goodbye for now. 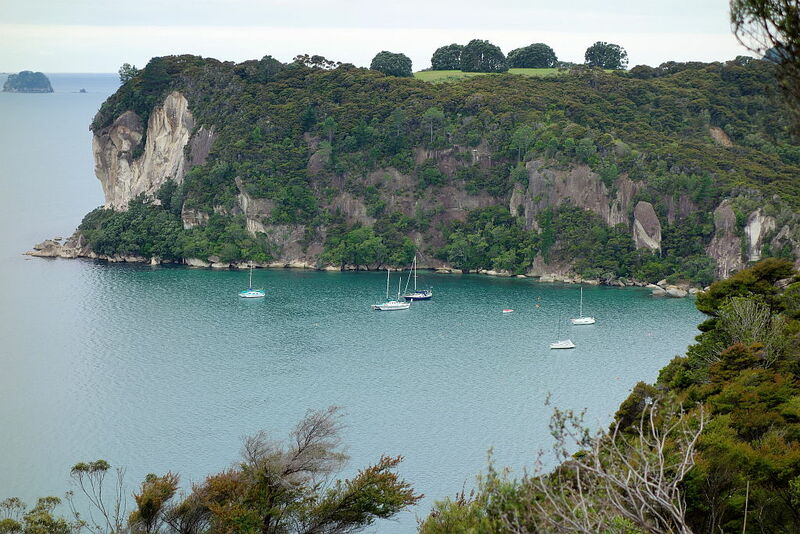 This entry was posted in New Zealand Cruise 2015 and tagged Cooks Beach, Coromandel, Kauri, Mercury Bay, Mercury Bay Vineyards, Moari, New Zealand, Shakespear Cliff, Whitianga. Bookmark the permalink. Great pics and stories! Glad that you guys are taking advantage of the opportunity. How much were they asking for the winery? 50/50? but i might drink the profits testing. Thanks Rick. Too afraid to ask the price in case we would be tempted 🙂 The wine was very good though.